Tomatoes are one of my favorite parts of summer in the South. They have been a constant in my life since childhood. We had them daily, it seemed, in sandwiches, salads, and sliced as a side with dinner. Even in the winter we’d have those puny-looking, hard pink tomatoes that have been shipped for miles to get to the grocery store and have virtually no flavor; I think they were just there for color contrast with the iceberg lettuce that my parents always bought. But they were there. 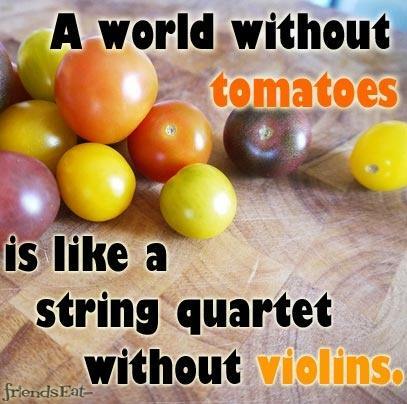 My friends, the tomatoes. The summer tomatoes are special. They’re so red, so juicy, and so meaty inside that their beauty makes me catch my breath when I cut into their flesh. They call my name from each farmstand along the roadside as I pass. I always mentally count the cash in my wallet as I see a stand in the distance, wondering if I have enough handy to pay for a basketful to take home. Joe always sends us home with bagsful of fresh tomatoes from his beautiful garden when we visit him. I only wish we lived nearer each other so I could enjoy the bounty more often! 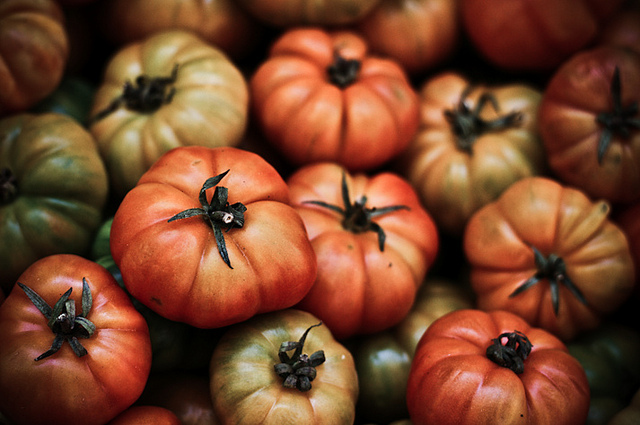 Those tomatoes are nearly too lovely to eat; however, were I in Bologna and found them, I think I’d find a way to do it. 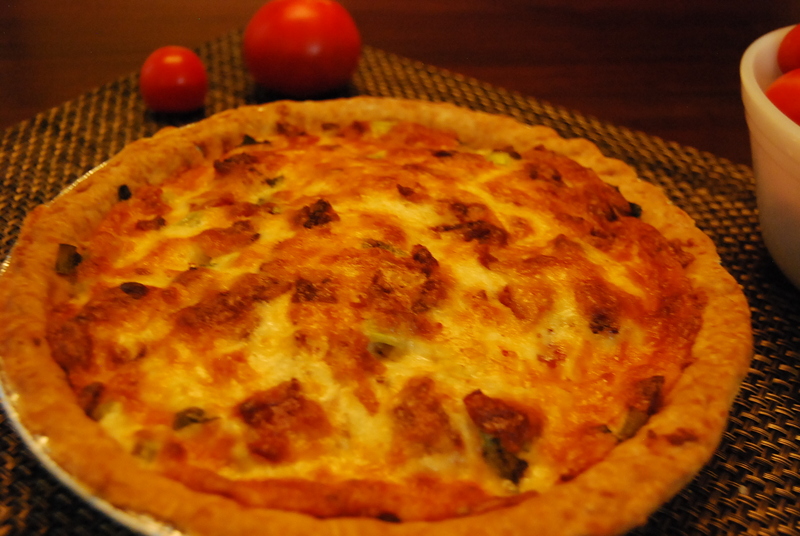 I want to share with you a new recipe I tried recently for a tomato pie! I had never made one before, and was intrigued to find out how it would taste. For this recipe I used Roma tomatoes, as they are quite meaty and have lower moisture content than many others, which suits the needs of this pie perfectly. 1. Place a rack in the center of the oven and preheat the oven to 375°F. 2. 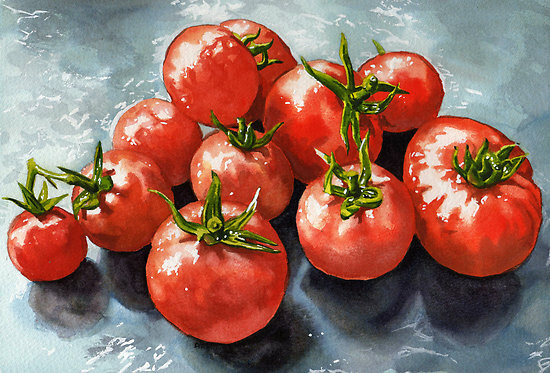 Place the tomato slices on a baking rack placed in a sink or over a sheet pan. 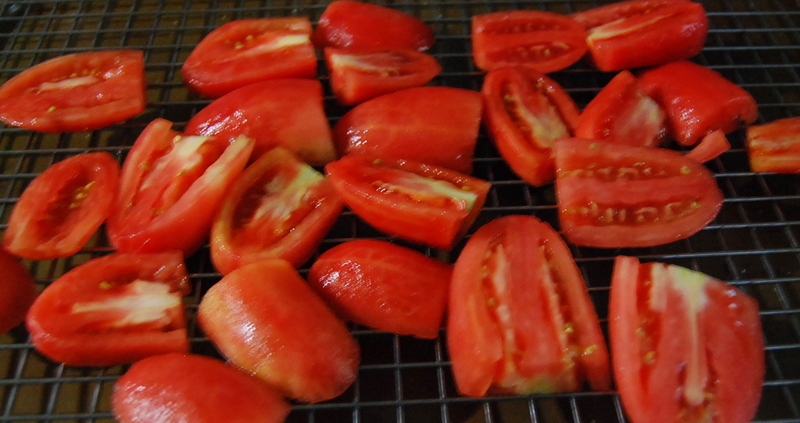 Lightly salt the tomato slices and let them sit until they give up some of their juice, about 15 minutes. 3. Meanwhile, prick the bottom and side of the pie crust with a fork a few times (see Note). Bake the crust until it just begins to brown, 5 to 6 minutes. Let the crust cool for about 15 minutes. Leave the oven on. 4. Pat the tomato slices dry with paper towels. When the crust has cooled, arrange half of the tomato slices in the bottom. 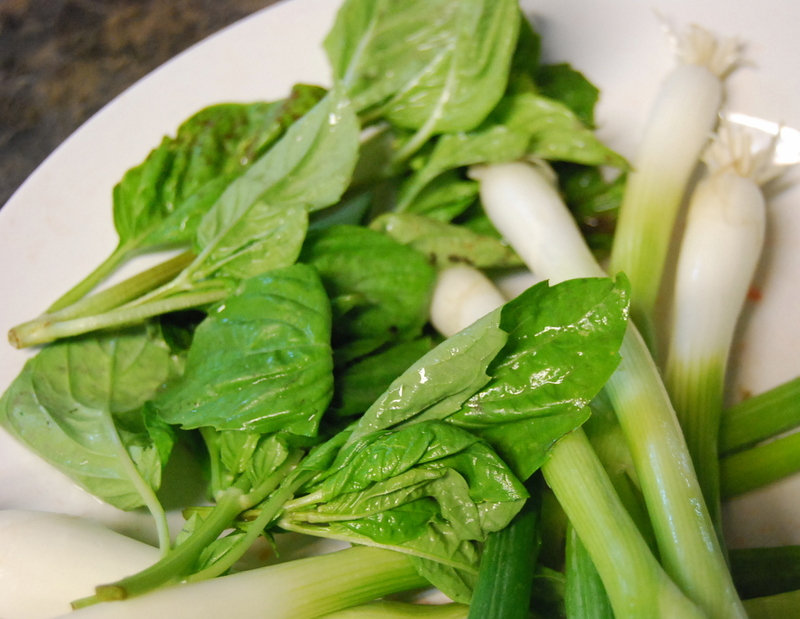 Scatter ¼ cup each of the basil and scallions over them. 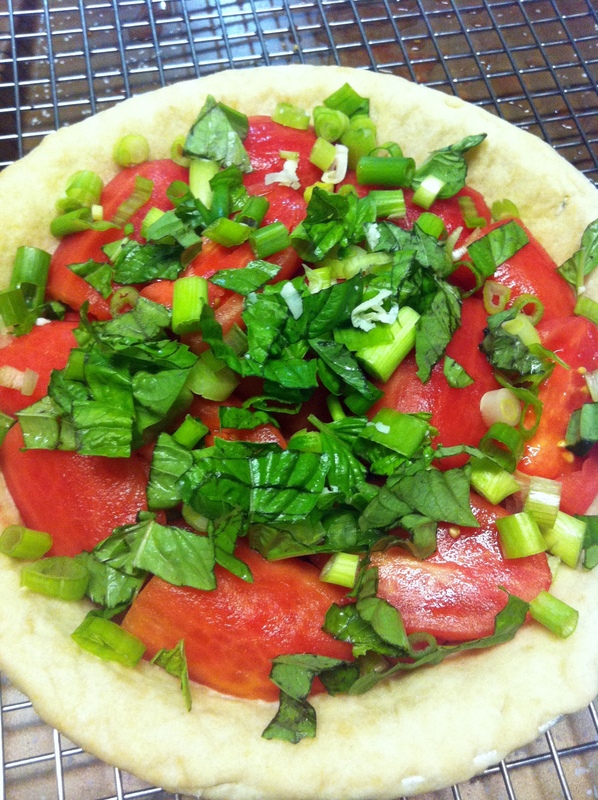 Add the rest of the tomato slices and top these with the remaining ¼ cup each of basil and scallions. 5. Combine the mozzarella and Cheddar cheese, mayonnaise, cayenne, and bacon, if desired, in a small bowl. Spoon the cheese mixture over the tomatoes and, using a knife, spread it out as evenly as you can. 6. Bake the tomato pie until browned, 30 to 35 minutes. Then, carefully arrange a loose tent of aluminum foil over the top of the pie to shield the crust from over browning. Continue to bake the pie until the cheese has browned and the filling has firmed up, about 15 minutes longer. Remove the pie from the oven and let it cool at least 20 minutes before slicing and serving. If you prefer a more homemade look, transfer a store bought pie crust to a glass or metal pie pan. Press the top edge down with a fork to attach the crust to the pan, then prick it with a fork and bake it. Also, the bacon really takes the pie in a different direction; it’s a very prominent flavor. Next time I’ll do it without the bacon, I believe. Sliced Romas draining so they won’t make the crust soggy. I feel healthier and happier just looking at all the fresh veggies in this pie. 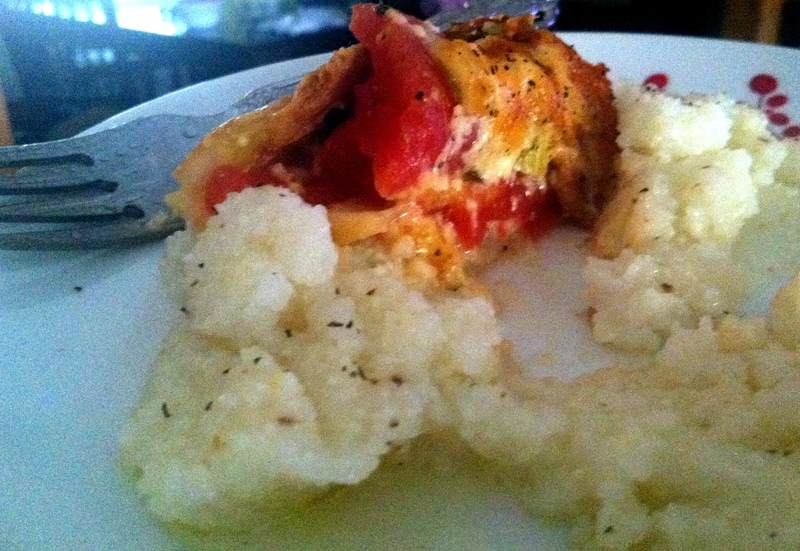 The leftover pie was great the next morning with grits for breakfast! you said it all. you & guy clark & mr.grizzard. wonderful. 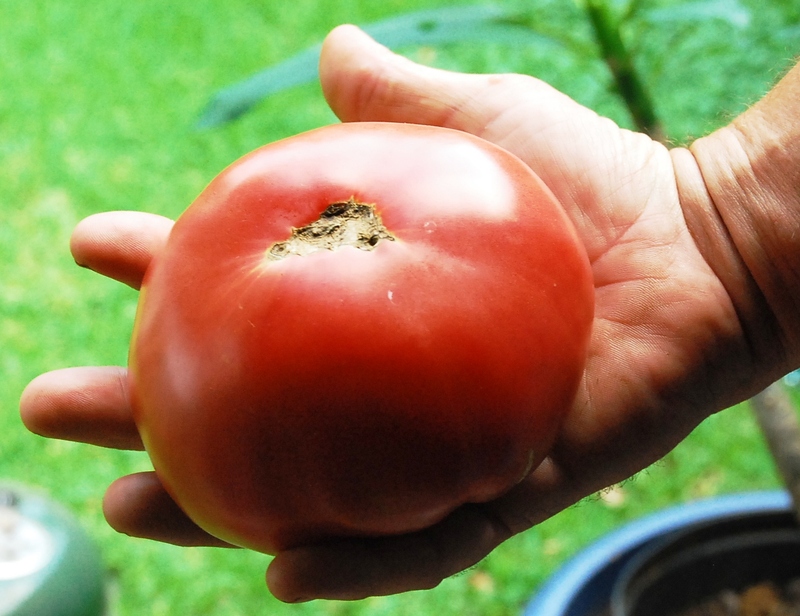 There’s nothing like homegrown tomatoes. Once you’ve had them it’s hard to buy store bought ones! I grow a variety every year called Early Girls. Your tomatoes look great! it’s so true. i complain all winter. lol! Such a versatile vegetable! From a simple sandwich (what can beat a bacon and tomato sandwich) to any dish there are very few that the tomato can’t add an extra side by it’s addition. An old lady that I used to live next to, used to grow them everywhere inside and out and she told me those she didn’t use straight away would be frozen for homemade tomato soup for the winter.